Just returned from the 2011 consumer electronics show in Las Vegas and as usual the show was over-whelming, with new product from alpine JL Audio, Kenwood, Python, JVC and Sirius XM satellite radio all introducing new audio electronic products. 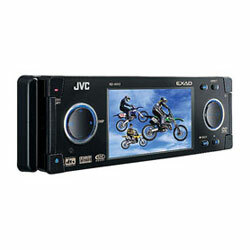 The most innovative product I saw was the JVC In-Dash DVD Player. With the purchase of a $30.00 cable can take your navigation app from your phone and re-create it through your in-dash DVD player, and amazingly it’s all touch generated through your stereo. For roughly $79.99 more you can add Bluetooth so for less than $600.00 you can have navigation Bluetooth. Another notable product from Alpine is having the ability of playing 2 iPods at once via the front and a cable that comes out of the rear. If you’re looking to purchase JVC In-Dash DVD Player or other hot audio electronics for your car or vehicle and have them installed, come on down to Sounds Good to me in Tempe, Arizona, near Phoenix, AZ for the best in car audio electronics at rock bottom prices. And remember to check out our blog for frequent product reviews as new audio auto and vehicle electronic gets released.